Quilt Market is this weekend and I'm going partially to promote my book and partially to see a lot of my besties. 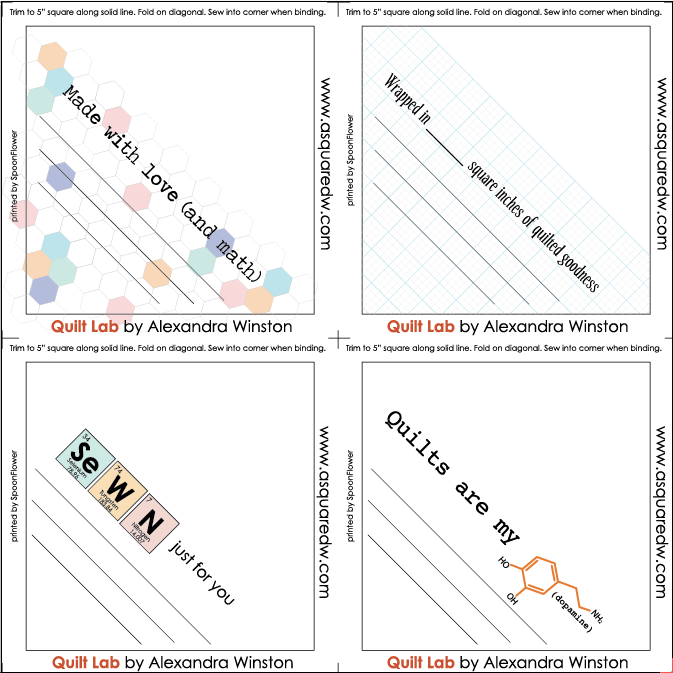 While I was planning for my book signing I came up with a design for some Quilt Labels. I thought it was a cute play on Quilt Lab, plus I talk about them in the book. And it snowballed from there. 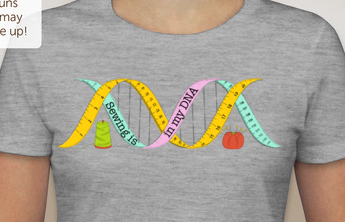 Right now I have 3 shirt designs that will soon be available through my new Etsy shop, Creative Science. I'm also listing a few signed copies of my book and the quilt labels. As more designs come to me, I'll keep adding designs! I had a few samples made to wear at Quilt Market. They aren't perfect yet, but I know what needs to be tweaked! 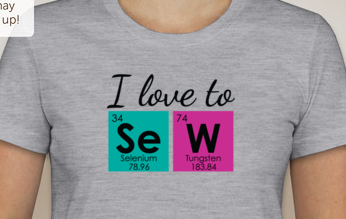 Love the chemistry themed shirts! I will need one! As a chemist myself, I love the periodic elements one. I stumbled across your book a couple weeks ago and fell in love immediately-snapped one up and can't wait to use some of your designs. 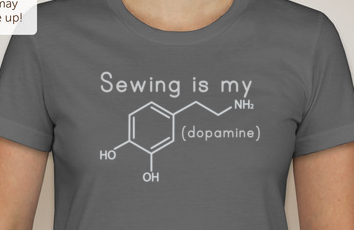 As an ER doctor who loves to sew i think your book and these shirts rock! Yes. I need one of these shirts. Super cute. Any chance you'll have them with v necks? I just love your book, labels and shirts!! Hate math and only really rock kitchen chemistry, so these are super fun! I love the look of your quilts and can't wait to find your book so I can try a few out!! Absolutely LOVE the DNA one! What am I talking about? I love them all!!!!! The world needs more quilt t-shirts: fact. Love them! I am in love with your labels - will you be producing those as well? I hold an AS, BS and MBA in public accountancy and business administration, so I love the technical designs.